Learning to drive is a pivotal milestone in a teen driver’s life. It presents them a sense of accomplishment and freedom to take the vehicle where-ever and whenever they feel. But unfortunately, a lot of drivers tend to run into accidents and serious car crashes, especially at night when the visibility is not so great! 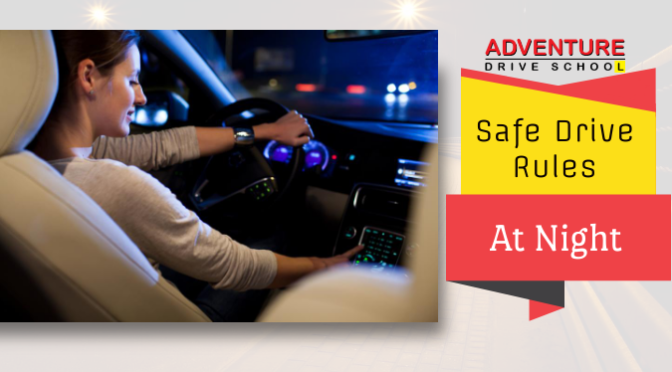 Truth be told, driving at night can be a challenge and unless they are well-versed with the art of safe and responsible driving (from a notable driving school, off-course); they need to maintain extra caution. If you are a parent worried about your teenager roaring off with your car at night, then you should take steps to enrol them into a reliable driving school. “Adventure Drive School”, is your trustworthy training institution to admit your teen daughter/son. Our well-trained experts will take your teen’s life into a new direction and present them all the crucial know-how about driving properly and responsibly at night. Here’s a Glimpse Of What Is Taught? With so many campaigns presented from notable driving schools about the disadvantages of over accelerating; the first piece of lesson is to not drive too fast. Visibility is always going to be a problem when driving at night, and that is why young drivers should drive at lesser speed. One logic behind it is that it presents young drivers enough time to react to road dangers such as pedestrians, cyclists and even animals. These aspects are out of their control, but what they can control is the car and its speed. Driving slowly only gives them enough time to avoid potential accidents and even injuries. When enrolling for comprehensive driving lessons in Carrum Downs; teen drivers are taught to use the headlights, side and rear view mirrors always. They serve as the perfect support when driving by providing a clear sight of the road ahead. Plus it also helps them avoid getting close to other vehicles and preventing collisions. The prime focus of quality driving lessons is teaching teen drivers to keep their eyes on the road at all times. 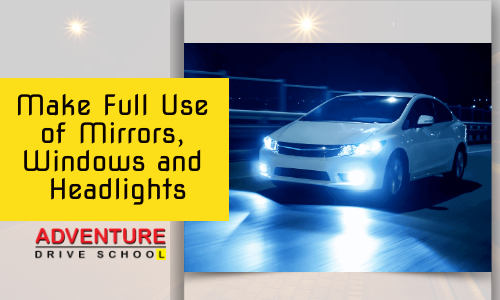 They even recommend them to clean their windows and viewing mirrors to get an all-around vision when cruising at night. Another couple of lessons that teen drivers learn from quality driving schools is to avoid blind spots when changing lanes and checking over the shoulder. For better viewing; they instruct teens to turn out their side mirrors as far out as possible to let them see the whole width of the road. With that, teen drivers will be told to use seat belts that prevent their impact during sudden stops and even collisions. 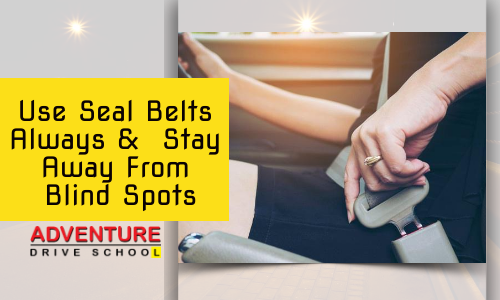 Seat belts spread the impact and prevent neck injuries. Believe it or not, without putting on the seat belts and without airbags, the driver can even die if the car collides with another at just 29km/h. A quality driving instructor in Carrum Downs will even teach teen drivers to calibrate the headlights and reduce the lights on the instrument panel and dashboard. Or else their eyes will naturally pay more attention to any lights from the outside. 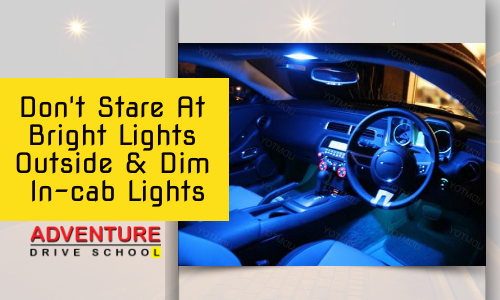 More importantly, they instruct their teen drivers not to stare at lights outside. Distractions are not welcome when it comes to night driving, and whenever there are incoming lights, then it is best to turn away from it to regain optimal vision. 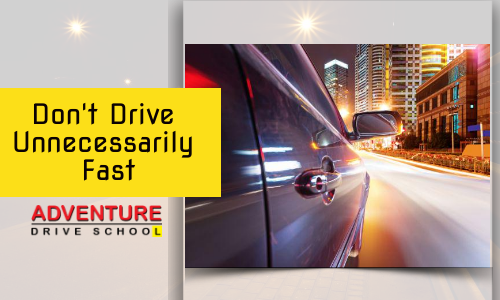 At “Adventure Drive School”; we offer training suited to every student’s learning ability. Plus our packages are budget-friendly with flexible timings. So, without thinking too much, speak to one of our customer representatives and enrol your teen daughter and son. It is the best way to polish up their driving skills and be rid of your worries and headaches.